Not all essential oils are created equal. While we might like to assume that all oils— beautifully and professionally packaged and sold in seemingly reputable stores—are of the same quality, we’d be doing ourselves (and potential clients!) a disservice. Spend some time learning about the different factors that can affect the quality of your essential oils so that you know what to look for when you’re reading a label or talking to a potential new supplier. Like us, plants have preferences. Clary sage Salvia sclarea (L.), for example, is best harvested during the late flowering period, and it’s best distilled fresh, while rosemary Rosmarinus officinalis (L.) yields a greater volume of bornyl acetate-rich essential oil when you strip the leaves from the stem before distillation (the anti-inflammatory ester bornyl acetate is the good stuff that creates the strong, pleasant, refreshing aroma typical of pine needles). Where was the plant grown? Lavender Lavandula angustifolia (Mill.) is a great example. The higher the altitude (ideally above 1,200 meters), the greater concentration of the linalyl acetate (another ester that packs a powerful anti-inflammatory punch). What part of the plant was used/should have been used to distil the oil? The active constituents are usually concentrated in one part of the plant. If you are looking for specific results, don’t use the leaf oil when the therapeutic constituents are concentrated in the bud. Clove Syzygium aromaticum (L.) is a great example. How was the plant grown? Organically? Pesticide-free? As environmentally aware aromatherapists, certified organic is always preferred for people and the planet. What is the climate of where the plant was grown? Plants thrive where they like to grow … just like us. If they are grown outside their comfort zone, the plant does not develop the full array of the chemical constituents at the level that is most effective. How was the plant harvested? Ethically? Sustainably? Ethical, sustainable harvesting adds to the power of the essential oil. After all, would you want to buy and use an essential oil that requires 50-year-old trees to be felled (like Indian sandalwood Santalum album (L.)) or that was gathered by women at 4 a.m. who are paid the equivalent of $5 U.S. a month (like jasmine Jasminum grandiflorum (L.)). When was the plant harvested? You would not harvest your carrots while they are still as thin as pencils; the same with essential oil plants. They are “ripe” when they have produced the most efficacious levels of the beneficial constituents. How was the essential oil produced? Some plants like jasmine J. grandiflorum will not yield their aromatic molecules to steam so are best not distilled. Jasmine J. grandiflorum should be a solvent extraction (also known as an absolute). How was the essential oil stored following its production? Essential oils are volatile and just like wine, they can become “corked.” Oxygen will alter their chemical profile over time, as will heat and light. Protection is the key, including limiting their exposure to oxygen and high temperature. You know you are a convert when you open your refrigerator and the shelves are full of citrus oils and very little else. We can’t live on great aromas alone, but a whiff of certified organic, steam-distilled neroli Citrus aurantium (L.) var. amara each morning as you head for your freshly squeezed orange juice can transport you to the flowering orange groves in the Sicilian countryside (maybe en route to a fourth-generation, family owned neroli distillery!). #1 Get to know your supplier. Do your research. These days, almost all retail-related websites include a place for people to leave reviews. Spend a little time reading through these, and you’ll get a sense for the overall vibe of the retailer. Then, when you’ve located someone you trust, work on developing a relationship. You can start with a simple “get to know you” email or a quick phone call; ask your one or two “deal-breaker” questions about quality and see what kind of response you get. Ideally, you want to purchase from a supplier deals directly with reputable distillers (and can, therefore, easily answer your questions). Also, suppliers usually will provide a small sample of the oil for you to check before purchasing larger quantities. #2 Latin names are where it's at. Order your essential oils by their Latin name, not their common name. You can have multiple essential oils called “Lavender,” but Lavandula angustifolia (Mill.) is known for its soothing and relaxing qualities, while Lavandula stoechas (L.) is not typically used for medicinal purposes at all. Always check the oil’s label for the correct botanical (i.e., Latin) name. #3 Perform your own tests. 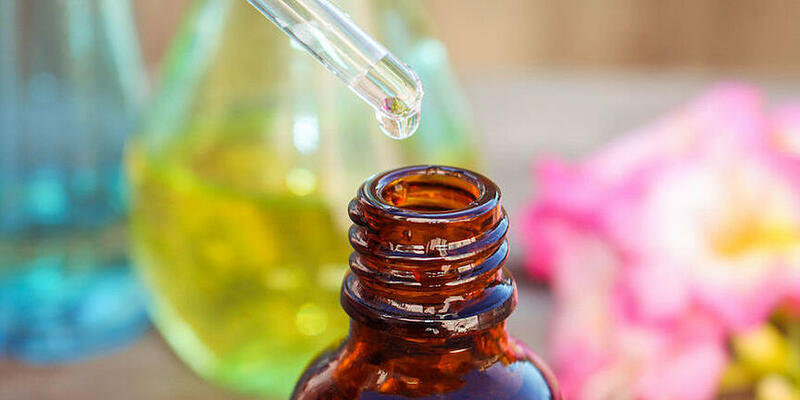 You can use organoleptic testing to help ensure your essential oils have not been extended or diluted, start with this ACHS blog post: https://info.achs.edu/blog/bid/327398/Quality-of-Essential-Oils-Diluents-Extenders-Synergy-Oh-My). Organoleptic testing uses all of your senses to evaluate an essential oil. You want to educate your olfactory senses to the smell, taste, feel, and look of different essential oil samples to help build your experience. To carry out an organoleptic test, check out the smell, feel, taste, and look (i.e., color) of the oil. Educate your olfactory senses at every opportunity: smell, taste (only the safest oils), feel, and look at oils from as many different samples and sources to gain experience. #4 The price tag does not equal quality. Just because an essential oil is pricey does not mean it’s of higher quality. You should be assessing your oils (organoleptic testing, requesting GC/MS reports, asking about sourcing) regardless of the price tag. However, if a price is unusually low, this could be an indication that an oil is not what the label claims. This could mean it is diluted in a base oil or is somehow adulterated. Big-ticket oils such as rose Rosa damascena (Mill. ), neroli C. aurantium var. amara, or sandalwood S. album are often sold diluted in a base oil, so it’s even more important to assess these oils carefully and purchase from a distributor you trust. So, how can you start to assess the quality of essential oils for yourself? Start by sampling as many pure oils vs. synthetic oils as possible. Write down the differences. Keep an “aroma” journal, and over time, you’ll start to notice the subtle (and sometimes, not so subtle) differences between pure, unadulterated oils and synthetic or adulterated fragrances. If you are really serious about essential oil quality, develop relationships in the aromatherapy community and join the conversation. You might even seek out a mentor in the community to help guide you on your journey to developing a keen sense for quality oils. #6 Know what’s lurking in your essential oil. There are a few kinds of adulterants. “Diluents” are substances (typically odorless) that are added to essential oils to dilute the product, saving the seller money on the real essential oil. “Extenders” are often synthetic chemicals created in a lab to mimic the aromatic qualities of essential oils. Other unsavory substances are often labeled as “nature identical,” but there’s nothing natural about them. This typically refers to a chemically synthesized version of a plant. Yet, plant substances have unique chemical properties and makeup that work together “synergistically” in the body and cannot be reproduced in a laboratory. Adulterated oils are never suitable for clinical aromatherapy, and can be harmful to our bodies. #8 REMEMBER: Essential oil quality directly relates to safety. Adulterants can harm the body. For example, the diluent diethyl phthalate (DEP), often added to commercial fragrance products, may have cancer-causing properties. Extenders are even more difficult to detect since they are synthetically designed to mimic essential oils. The scary part is that they can produce negative effects that the natural essential oil would not produce, and can actually harm the body. Lastly, not all adulterated oils are purposefully adulterated. Often, non-organic raw materials that are sprayed with harmful chemical pesticides bring these toxins with them into the essential oil. That is why choosing certified organic essential oil is paramount when looking for quality oils. Pesticides can be extremely harmful to our bodies and have been linked to adverse effects on the nervous system, skin, eyes, and endocrine system. Not to mention, they do incredible damage to our environment. Additionally, certified organic oils are produced without the use of genetic engineering and artificial fertilizers—another big plus in the quality category. Keep Up with the Safety Series! López-Carrillo, L., Hernández-Ramírez, R.U., Calafat, A.M., Torres-Sánchez, L., Galván-Portillo, M., Needham, L.L., et al. (2010). Exposure to phthalates and breast cancer risk in northern Mexico. Environ Health Perspect,118, 539-44.